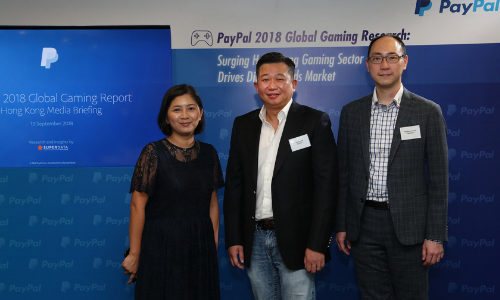 It’s predicted that annual revenues in the Hong Kong gaming industry will reach HK$7.8 billion by 2021, according to Paypal’s report. The study unveiled that 48% of gamers in Hong Kong play online or on mobile every day, compared to 39% globally. And due to the on-going price war in the telecom industry, local users have now benefited from lower price points and better service, making it easier to pay, download and connect to the internet. Currently, there is a clear accelerated growth in Hong Kong’s gaming market, which is fueled by improved access to gaming and a growing ecosystem driving a multitude of gaming transactions and related digital goods. This, married with a growth in seamless and secure digital payments, facilitate fast, simple and convenient payment experience for gamers everywhere. As such, the Hong Kong government have put aside HK$100 million to create spaces for gaming events, and foster industry development programmes. Hong Kong Cyberport is also committed to building the required ecosystem to support a flourishing e-Sports industry. However, the research also found that over half of Hong Kong customers would quit the online transaction if their preferred payment method was not available. Meanwhile 35% of gamers quit before finishing a transaction for a digital game or in-game content because “the process was taking too long”, compared to 27% for global respondents. 80% of gamers in Hong Kong are also found to be open to changing payment methods, with convenience and security being the most critical requirement. Faster, easier and secure online transactions whether in-game or game downloads will be critical to creating seamless end-to-end customer experiences that gamers demand which providers of gaming goods and services must be mindful of, explained William Ip, director of PayPal Hong Kong, Korea & Taiwan. “The worldwide explosion in e-commerce activity has clearly extended to transactions of digital goods and gaming in particular. Hong Kong’s surging gaming demand is being supported by the rapidly evolving ecosystem which is enabling greater access to games, more seamless gaming transactions and an extended market of related goods and services,” Ip said. He added that “there are encouraging signs” for gaming and e-sports. But to fulfill its potential “better understanding among the wider public on how gaming is an emerging industry and is not merely an entertainment for the youth”, is needed. 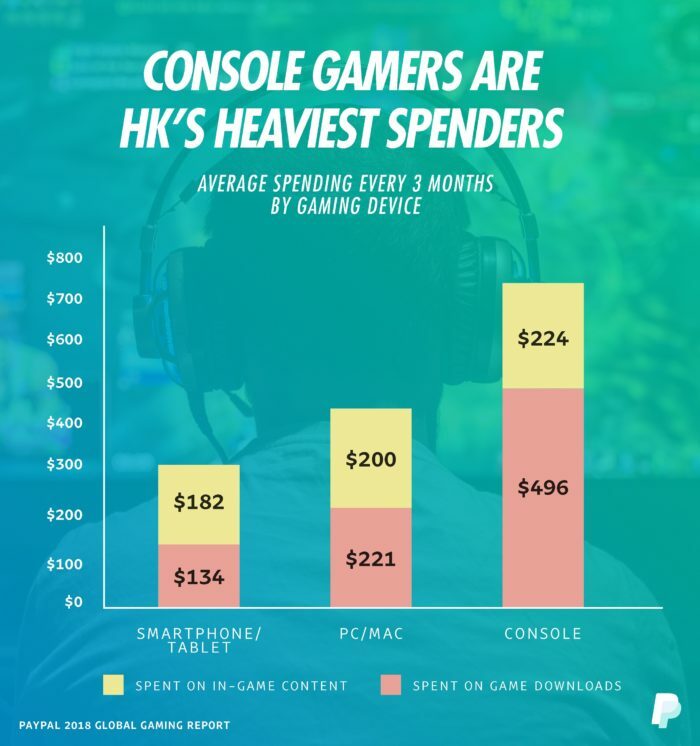 The Paypal’s research – conducted between February and March 2018 across 25 markets with about 25,000 respondents – also showed that console gamers are the heaviest spenders in Hong Kong. 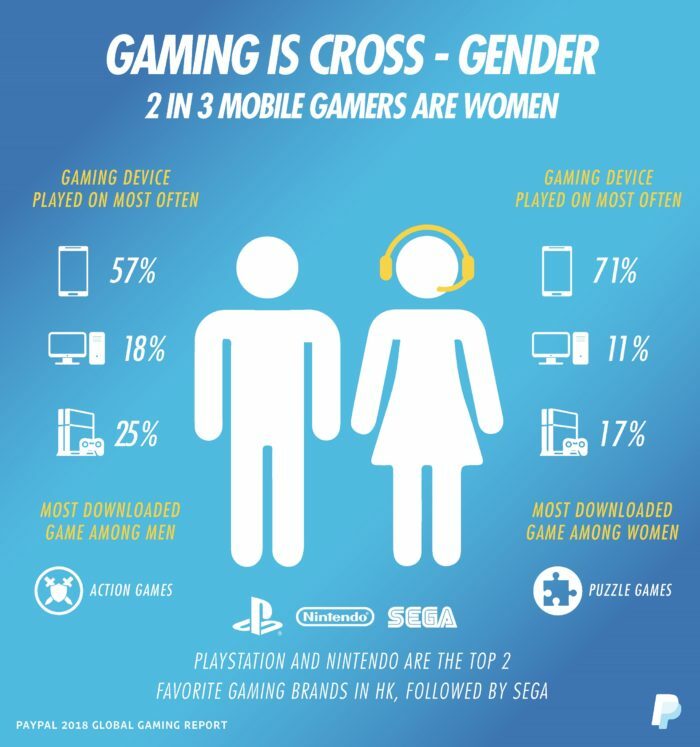 The PC and console audiences comprises of more males than females and also those with higher average incomes – the data shows this group are a dedicated audience and willing to pay upfront for the latest games. The report also revealed some interesting facts in Hong Kong. For example, 53% female gamers play video games every day, compared to 43% for male gamers. While gaming is sometimes assumed to be for the younger population, mature gamers (aged 35 or above) were found playing as often as younger gamers (aged 18 to 34) with over 90% of gamers saying they play video games at least once a week. Asia Pacific Breweries Singapore, in partnership with Economic Development Board (EDB) will be investing SG$3.8 million to install.. Both parties have signed a four-year extension that means MP & Silva will be responsible for distributing Badminton Asia’s worldwi..
Men’s Health Malaysia has found a new publisher in Mongoose Publishing after a 10 year relationship with Blu Inc. The new directio..